Liz always provides high quality applicants, especially in her specialty which is higher end job openings. Extremely knowledgeable, courteous, and very friendly. Keep doing what you are doing. Great Job! Since 1979, Lofton has provided our clients with the executive search candidates for their mid-senior level, executive, professional and specialized positions. Why we do what we do? For the love of it! Our core focus is to serve others by providing employment opportunities with some of the finest companies in the region. We are proud to do our part in shaping the professional futures of both our candidates and business partners. We are ready to assist your company not only with your next great hire, but do it with award winning service. If you are looking for your next career, please email your resume to Liz. We are excited to help you with your next career! 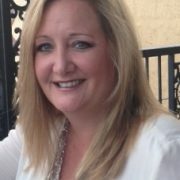 Since receiving her Bachelor’s Degree in Journalism from Ole Miss, Liz has spent more than 20 years in the staffing industry. She started at the bottom and worked her way up quickly in placements, sales and management. Liz has always had a passion for the staffing industry and loves working with career minded, motivated people who want to do a great job and contribute at a high level. Since joining the Lofton team in 2013, Liz’s focus has been to recruit for mid to senior level professional, specialized and management direct hire positions for local, regional and national talent searches. Her clients are great to work with and she appreciates how much she gets to know about them and their companies so she can match them (skills and culture) with their next great hire. Liz is passionate about her job wants to help everyone she meets to feel the same way about their career choice. Liz specializes in accounting, human resources, engineering, procurement, operations, business development and project management talent.